CUC Software, Inc. and Entré Technology Services will be co-hosting a special software event on April 8th at Entré’s office. 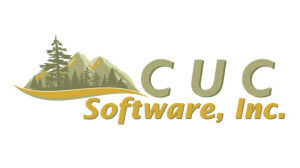 CUC Software will be the lead presenter, and they will be featuring their signature product—“Contractor Essentials”. CUC has offered similar workshop days in other areas with great participation and feedback from their users. Normally they charge $115 per attendee for the full day workshops; however, since this is their first Billings workshop, CUC and Entre are waiving this fee! The agenda will be finalized following registration in order to gear our time towards the interests of the group; however CUC will be highlighting some of the most recent enhancements, including the new GPS interface with NexTraq and a sneak peak at what they are working on for upcoming enhancements. Marketing (including lead tracking and mail merge options) and Maintenance Contracts (including templates, reoccurring invoices and revenue transfers) are two items that are nearly always on the agenda. This is a great opportunity to learn from CUC’s experts as well as from other users in attendance. Please contact Heidi Paulson at 406-254-9677 or email Heidi@cucsoft.com for more information.